This is my final blog post of the year and I thought I'd look back and choose my favourite books of 2016 and take the chance to hand out a few awards. I like a story that I can get into right away and that means a book has to start with a strong hook, which, for me, means a plot-hook. 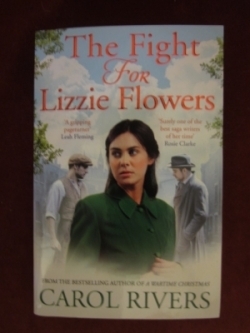 My award for the Most Dramatic Beginning goes to The Fight For Lizzie Flowers by Carol Rivers. I don't want to give anything away if you haven't read it, but the opening is terrific; and if you have previously read Lizzie of Langley Street, it will give you quite a jolt. Readers of genre fiction have certain expectations and sensing what is going to happen doesn't in any way spoil the enjoyment of the book. It seldom happens that an experienced reader is truly taken by surprise, but that is what happened to me with this book. 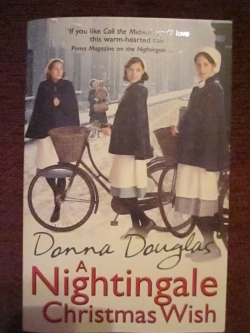 And so my I Didn't See It Coming award for an unexpected plot twist goes to A Nightingale Christamas Wish by Donna Douglas. I've been wondering what to call this award. This is a book I'd never have come across if it hadn't been recommended to me by Jecqueline Farrell. It's a special book. 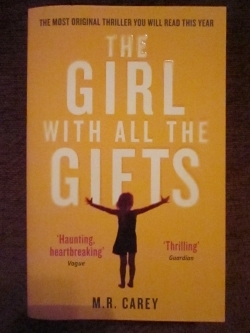 It says on the cover it's a thriller, but it's so much more than that - it's a beautifully crafted story of people and relationships, which mixes fast-paced and scary plotting with warm-hearted poignancy. I've just realised what the award should be. It is for the Most Loveable Character. I would never have thought I could love a zombie, but I loved Melanie. What a wonderful character. 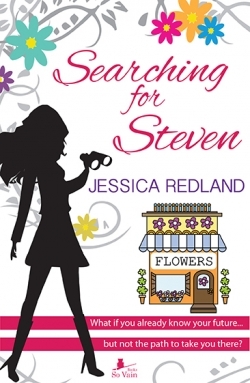 My award for Best Contemporary Novel goes to Searching For Steven by Jessica Redland. It starts off as a warm and humorous romance; then, partway through the book, an old flame appears from the heroine's past and the romance develops into a compelling love story with the heroine facing a complex dilemma. I do enjoy a good series, though until recent years it was something I associated with US cosy crimes novels. I was delighted when UK genre fiction began to be published in series. But the author's job is a tough one - keeping the series fresh and interesting. I'm thinking of one series which I've been reading for several years, which I finally gave up on this year because it has gone off the boil. 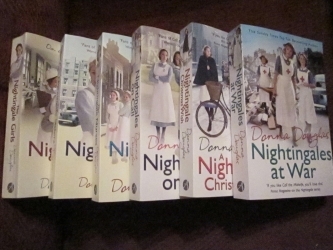 My Best Series Award goes to the Nightingales book by Donna Douglas. This is a series that gets better and better. 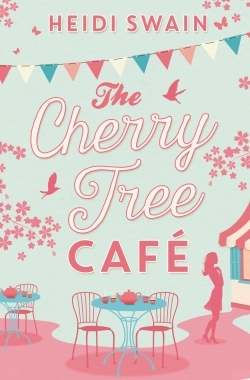 The Cherry Tree Cafe, Heidi Swain's debut novel, wins my Feel-Good Novel award. It's a warm and engaging read with an appealing setting - I love the idea of a crafting cafe. I'm looking forward to Heidi's second novel, Summer at Skylark Farm. Linda Huber is a writer who excels at the gradual build-up of tension as she peels away the layers of everyday life. Her books are gripping and she isn't afriad to tackle difficult subjects. 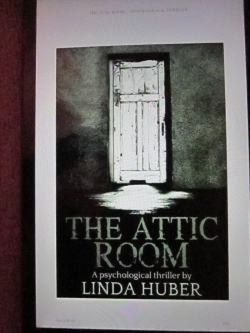 The Attic Room wins my award for the Creepiest Read. So those are my favourite books this year. What were your favourite reads? Do leave a comment and tell me. Am I the only one who gets frustrated with too much space on my Kindle and too little time to read all the lovely books I've put on there! Have some of these already but I like the sound of The Attic Room. 'All I Ever Wanted' sounds a lovely read, Jen. I'll add it to my TBR pile and let you know my thoughts on it. Thanks for commenting. Your support is always appreciated. You've once again added to my TBR pile, Susanna. Such an interesting post and I appreciate your thoughtful feedback on the titles you included. One of my favourite reads this year is 'All I Ever Wanted' by Kristan Higgins. It's a contemporary romance with Higgins' trademark warmth and humour, a lovely dog, absorbing characters and family dynamics. Aw, Susanna, you're so lovely to me. Absolutely thrilled to see Searching for Steven on the list. And in amongst such fabulous company. You've absolutely made my day ... and added to my TBR pile too as these all sound wonderful! Melanie was an exceptional character - thanks for recommending the book, Jackie. I'd never have come across it otherwise. Yay! The girl with all the gifts definitely was the most loveable character around. Have you tried The 1st 15 Lives of Harry August by Claire North. Also a great read. I've read few stinkers this year too.